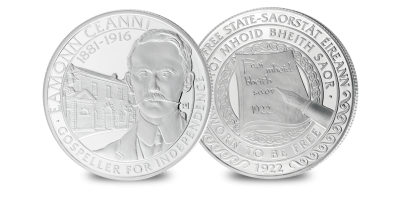 Browse our selection of collectable gold coins, silver coins from around the world and the very best Irish Commemorative Coins. 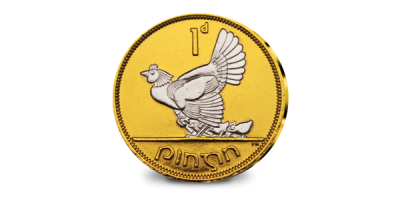 Save €30.00 on the Pre-decimal Penny when you order today. 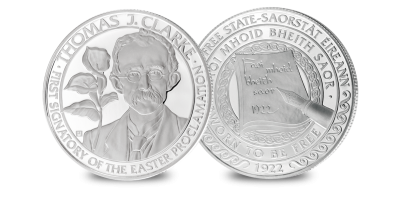 Every coin in the set is layered with pure 99.9%- 24 Carat Gold and struck to proof quality. 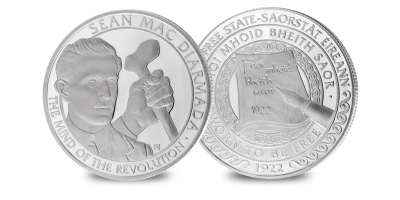 The main motif on each coin layered in Rhodium Platinum, the most precious metal in the world. Included in the set are free collectors gloves, free presentation box and free certificate of authenticity with each coin.